Bay Beach Hire in the Bay Of Islands is well-known for offering quality service for over 20 years. 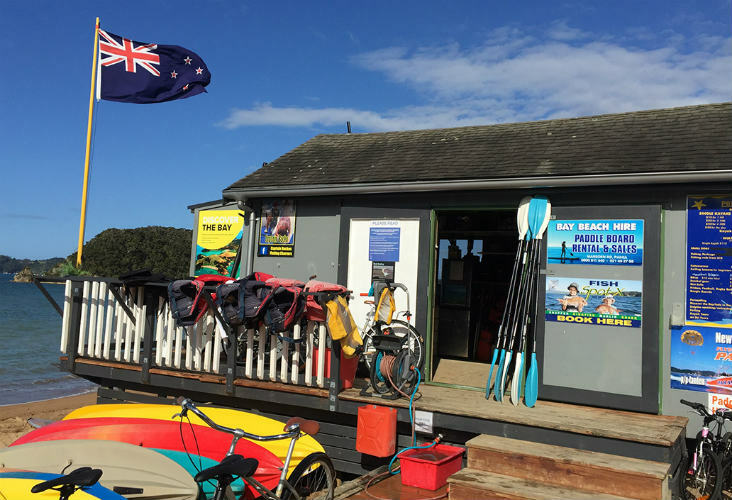 We provide rentals for single and double kayaks, bikes and paddleboards, right in central Paihia. We have a deep understanding of the ocean and the local winds, and can pass on in-depth knowledge of what gear will suit you best in your Bay adventures. 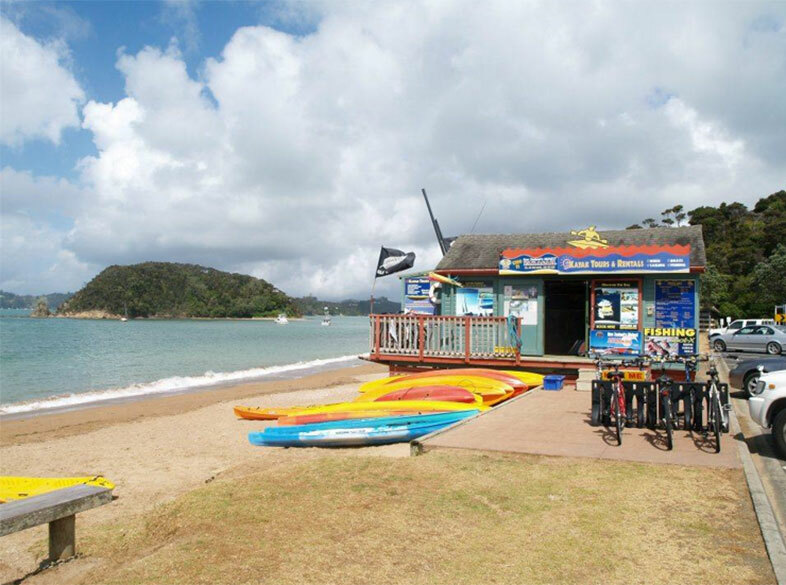 Find us right on the beach opposite Kings Road in central Paihia. We’ll make sure to customize your kayaking adventure to your individual needs. We provide rentals from one hour or overnight, for camping at Urupukapuka Island. We offer kayaking tours upon request as well. These activities are suitable for children and adults of all levels of fitness. Non swimmers are also welcome. We have a range of stand up paddleboards to rent, for both beginners and advanced. Dan is our qualified instructor which is often a great option for a beginner, as he will have you paddling like an expert before too long. All bikes are well maintained with a qualiﬁed bike mechanic on hand. With your bike you will receive a helmet and lock. We’re excited to add that we have a range of new mountain bikes suitable for the Waitangi Mountain Bike Park. Ask about visiting Russell and also the fantastic rail trails in the area.